Posted October 29th, 2018 by Suwannee River Rendezvous & filed under Camping. Nothing will ruin a camping trip quicker than mosquitoes and other biting insects. One minute you’re enjoying a quiet night around the campfire, and the next you’re scrambling into your tent to avoid getting eaten alive by insects. Fortunately, there are easy, effective ways to keep these insects at bay during your next camping trip. 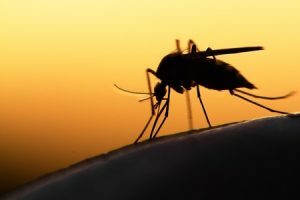 Learn more about a few of our favorite mosquito-repelling techniques below! Throw some sage in your campfire. Most insects, including mosquitoes, don’t like the smell of burning sage. By tossing some of this inexpensive herb into your campfire, you can dissuade biting insects from getting too close. As an added bonus, the smell of sage will usually linger on your clothing and provide a little extra protection after the fire has burned out. Put a dryer sheet in your pocket. You might not be doing any laundry on your next camping trip, but don’t let that stop you from keeping a box of dryer sheets in your camping gear. Just like they don’t like the smell of sage, mosquitoes and other insects typically don’t like the smell of dryer sheets either. Keeping one or two of them in your pocket is often more than enough to keep the bugs away. Dab a small amount of vinegar on your skin. Are you desperate to get rid of the insects around your campsite once and for all? Vinegar has one of the strongest, most effective bug-repelling odors you can find. A word of warning, however: it may be unpleasant for people who are sensitive to strong odors, too. If you’re still concerned about sleeping outside with biting insects, consider renting one of the comfortable lodging accommodations at Suwannee River Rendezvous! This way, you can enjoy all the comforts of home during your stay on the beautiful Suwannee River. Make your reservation online or give us a call today to learn more!